This is a tutorial and instructions on how you can unlock your Motorola Droid 3 XT860 by Unlock Code to work on any GSM network. 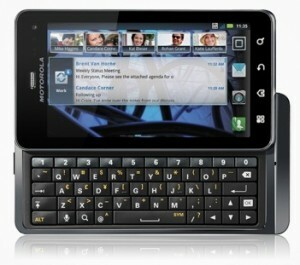 Cellunlocker.net is proud to announce we can Unlock the Motorola Droid XT860 to any GSM Network fast and easy! Once you unlock your Motorola Droid 3XT860 device, you can change to any GSM Carrier. UNLOCK MY Droid 3 XT860 NOW! * There is absolutely no risk of damaging your Motorola Droid 3 XT860 by unlocking it. UNLOCK MY Motorola Droid 3 XT860 NOW! I was successful ucnknoilg the phone and using outside USA, though I haven’t use it in Indonesia. All you need to do to unlock your phone is to get unlock code from Verizon or 3rd party. Please contact by by contact form if you need one.However, there’s one trick. It appears that some phone can’t be unlocked by code bought from 3rd party, only Verizon’s code works. It’s small percentage of phones, but still one might be unlocky.Some say only activated phones can be unlocked. It’s not true. My personal one wasn’t activated and was unlocked in foreign country.Assuming your droid is unlocked, it should work in Indonesia. Droid 2 Global has carrier lock set on USA GSM services providers. All others work fine. I don’t know about CDMA.Good luck ucnknoilg the phone.